Did John Kerry Get Rebuked By Aliens In Antarctica? One of the hottest stories going around the web right now is that John Kerry’s recent trip to Antarctica was actually a clandestine trip to meet with the “guardians” there, but was told to leave on no uncertain terms. 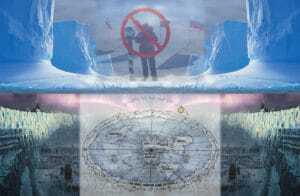 Did John Kerry visit Antarctica seeing alien assistance in changing history? The oldest iteration of this “news” event is from 11/16/16 on the site WhatDoesItMean.com and it references a Russian Foreign Service Intelligence Report that though heavily redacted, reports all this. According to this report, the Obama regime, in their knowing that the anti-globalist forces loyal to President-elect Donald Trump were poised for a victory over them, dispatched Secretary of State John Kerry to Antarctica where he arrived on 11 November. SVR analysts in this report note that Secretary Kerry’s attempt to persuade the “guardians” to interfere in a “temporal matter” was “quickly/immediately” rebuffed by these “entities” who then ordered him to leave the “barrier zone” and not to return. Upon leaving the Antarctica “barrier zone”, this report continues, Secretary Kerry arrived in Christchurch, New Zealand, on 12 November, where he stayed overnight before his traveling to Wellington the following day. In the early morning hours (6:02 am local time) of 13 November while Secretary Kerry was sleeping in Christchurch, however, this report notes, this region was struck by a powerful 7.8 magnitude earthquake—and that SVR analysts state was a “predictable consequence” known to be used by these Antarctica “guardians” as a “warning message” not to interfere with their “mission/research”. 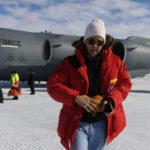 There is definitely proof that John Kerry did visit Antarctica on November 11, but beyond that it is all rumor. As of yet, I have yet to find a single source that has a copy of the supposed SVR that tells this tale. This doesn’t mean it doesn’t happen, or that it doesn’t exist, but without proof this is a tough story to swallow. At the time of writing, we do have a request in to the the Russian Foreign Intelligence Service requesting confirmation that this report exists or doesn’t. If they get back to us with an answer, we will update you. Patriarch Kirill of Moscow and All Russia visited the Bellingshausen Station on Waterloo Island in Antarctica. One piece of the story that I find interesting, at least in how WhatDoesItMean.com reports it, is that the reason that Kerry was there was to request their assistance in a “temporal matter”. I can only assume this means going back and adjusting the 2016 election results? This was patently not something the “guardians” were up for and in fact, the article goes on to say that there is only one reason people are allowed to contact them. That is it return ancient war artifacts. Kirill did in fact visit Antarctica in February of 2016. Of course there is no mention of him returning the ark of the covenant in any new stories. It would make sense though, that if there were ancient aliens in Antarctica that they would want their old weapons back. There are many people that theorize that many of our mythical artifacts and magical weapons were in fact not magical, but advanced alien technology. Where the story goes sideways for me is that the “guardians” supposedly created the earthquake in New Zealand as retribution for Kerry’s visit and unacceptable request. This seems a bit odd, like getting mugged so you go beat up your neighbor in retaliation. I would think any entity capable of generating and earthquake could have targeted the USA instead of the nearest land mass. Some reports are linking the deliberate earthquake event in New Zealand with the lights seen in the sky about the same time. Instead of the lights being UFOs or a warning to the people of Earth to not irritate the Guardians of the Antarctic, I put forward that they were merely a rare but explainable phenomenon called Earthquake Lights. These lights are often times misidentified as UFOs and are triggered by the massive amounts of energy released in earthquake events. This story may never be confirmed, which leaves us with lots of speculation. What do you think Kerry was doing in Antarctica? Was he really just down there doing environmental work, or was he playing ambassador and trying to get ancient aliens to affect current history? 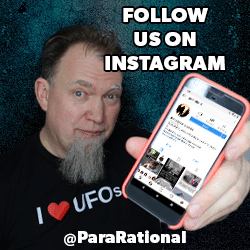 Post your comments and let know what you think about Kerry getting kicked out of Antarctica by ancient aliens.